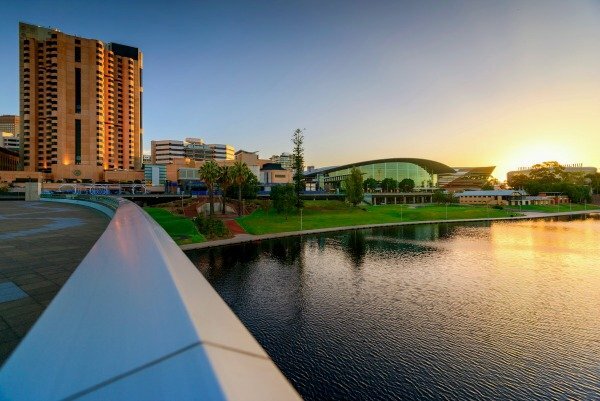 Pop down to Adelaide to see one of the world’s best regions according to Lonely Planet! Lonely Planet are well established as travel authorities, covering not only the major tourist hotspots but the lesser-known places in their guides and best-of lists. The yearly “Best in Travel” uncovers some amazing and often-overlooked places, with top ten lists of countries, cities, regions and value destinations. 2017’s awards come with some good news for Australians, especially in the regions section - one of the top ten regions is right here in our corner of the world and easily accessible to explore with a short domestic flight and a car rental. Coming in at number five on the list of best regions according to Lonely Planet was our very own South Australia. It’s often overlooked in favour of New South Wales, Queensland and Victoria - but this southerly state has some fabulous things to offer a traveller. 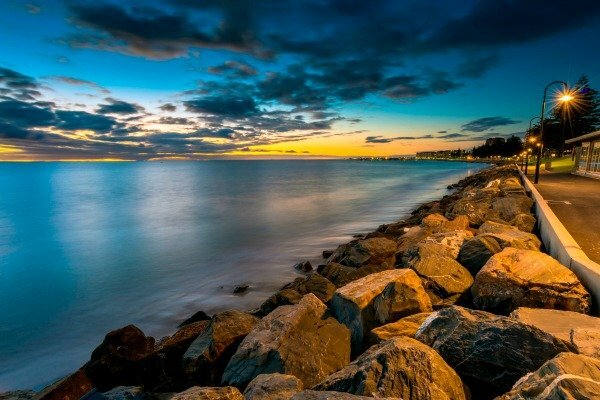 Think Outback landscapes, beautiful beaches and of course wine country, all centered around a stately and sophisticated state capital - Adelaide. A car rental will see you right in the wide open spaces of South Australia, allowing freedom and flexibility in transport from one great spot to another. Don’t forget to bring a camera! Adelaide is the biggest city and travel hub for South Australia, with domestic and international flights arriving and departing regularly. To explore the region, we recommend picking up an Adelaide Airport car rental. From the city, main highways head in all directions so it’s easy to get to your next destination. If you’d like to include South Australia in a wider road trip, a Melbourne car hire might be a great option, taking you right along the Great Ocean Road on the way into the state! 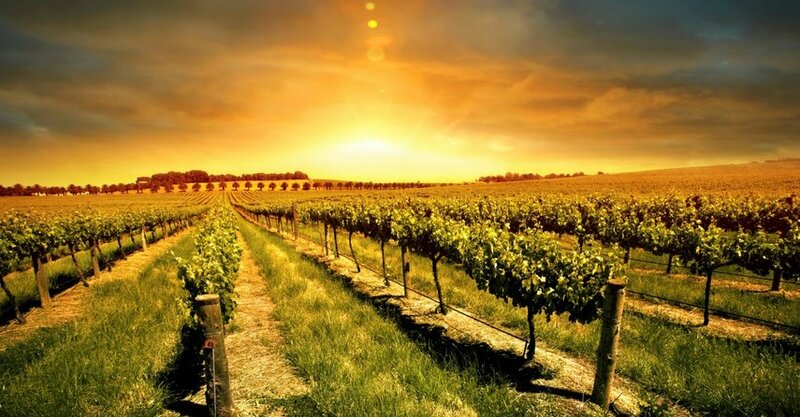 Wine country is certainly one of the highlights of South Australia. 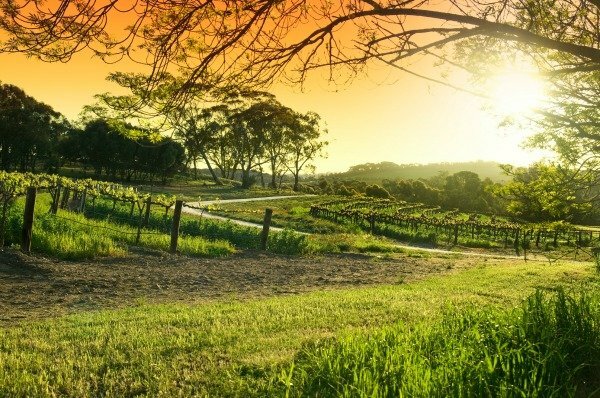 The Barossa Valley is the most famous name, but there are more wine-producing regions right on Adelaide’s doorstep. Anyone who loves a drop should spend a few days or more exploring the cellar doors - just be sure to assign a sober driver, or sign on for a chauffeured tour! Barossa Valley has a big reputation, and great soils and production to back it up. It’s also picturesque, a place of rolling hills with villages, vineyards and farms forming a pastoral patchwork. There are many, many wineries to visit, from the well-established Penfolds Wines, Jacob’s Creek and Wolf Blass, to smaller places like Burge Family Winemakers and intimate, charismatic Brockenschack Vineyard. The Chateau Tanunda Estate is particularly stunning, an imposing building made from local blue stone in the 19th century, and Langmeil Winery has some of the oldest pre-phylloxera vines in the world - some as old as 170 years. Clare Valley is another wine region 100 kilometres from central Adelaide, a relaxing place where people go to enjoy a bit of the good life. Like Barossa, it contains a range of wineries with welcoming cellar doors, some small charming towns and a lot of scenic goodness. There is a long list of wineries to visit including the beautifully-landscaped Mount Horrocks Wines, Sevenhill Cellars which is the region’s oldest founded in 1848, traditional Annie’s Lane, and Knappstein which also produces Bavarian-style lager. McLaren Vale is at the southern outskirts of Adelaide, and boasts some modern and quirky wineries along with older outfits such as Tintara and the stunningly scenic d’Arenberg. Try the small and kooky Alpha Box and Dice cellar door, organic-focused Battle of Bosworth and take a break in the lovely gardens at Coriole. Cheese is also a famous product of Mclaren Vale, and many cellar doors and restaurants serve local offerings. Glenelg is not far from central Adelaide - in fact it’s a beachside suburb. The village atmosphere and wide sandy beach create a wonderful blend of urban and natural - complete with cafes, galleries and wild dolphins. The Limestone Coast lies between Adelaide and the border with Victoria, and it is also dotted with wineries and wonderful places to enjoy local food. Long stretches of beach are punctuated by fishing villages - it’s the perfect venue for a laidback beachy road trip. The Fleurieu Peninsula is another great destination for coastal adventures, with all kinds of watersports on offer. The beaches range from long surf destinations to small and sheltered coves, with plenty of space for everyone to enjoy the sand of their choice. The Eyre Peninsula and Nullarbor National Park cover the coast all the way to the Western Australia border. The beaches on this stretch are the epitome of Aussie coastal glory - white sand, plenty of wilderness, surf breaks and general coastal beauty. At the Nullarbor National Park, stunning cliffs drop into the blue waters of the Great Australian Bight Marine Park. Beaches should be top of the list of places to visit in South Australia! These natural wonders are some of the best coastlines you’ll find in the entire country. Head inland away from the coast and the mighty Outback awaits, beautiful in a very different way. A drive through vast areas of scrubland and desert will acquaint you with the heart of Australia, the interior of the nation which lies behind flashy coastal cities. You could stay on and experience a working cattle station, attend a camel race, and marvel at the unique underground homes in the opal mining town of Coober Pedy. The most intrepid of travellers might set off north on the Stuart Highway to complete the epic road trip between Adelaide and Darwin - a true Outback adventure which will take at least a week of driving and some serious preparation due to the isolated stretches of highway. 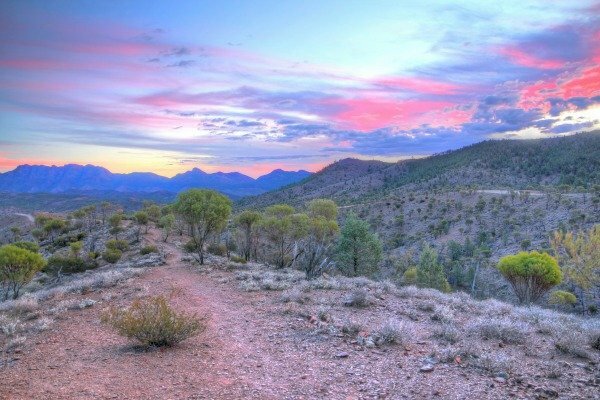 If you don’t have the time or inclination to head deep into the Outback, at least make the short journey north from Adelaide to visit the Flinders Ranges. This is the largest mountain range in Australia, and is best discovered at the Ikara-Flinders Ranges National Park. There are many walking trails, Aboriginal rock art sites, and scenic beauty spots like gorges, mountain peaks and the Wilpena Pound rock formation. There are also sites of cultural interest such as the Sacred Canyon with rock engravings, the ruins of Haywards Station in the Aroona Valley, the historic township of Blinman and more. With wheels sorted, all you’ll need is a place to lay your head each night. Whether that’s in Adelaide or one of the smaller towns dotted around the state, there are many options for all budgets and preferences. Hotels are a common choice, and in the bigger centres you will find plenty. Adelaide itself has a wide range, including some well-known chains and local outfits. Find some luxury in the more rural areas with bed and breakfast and lodge establishments! 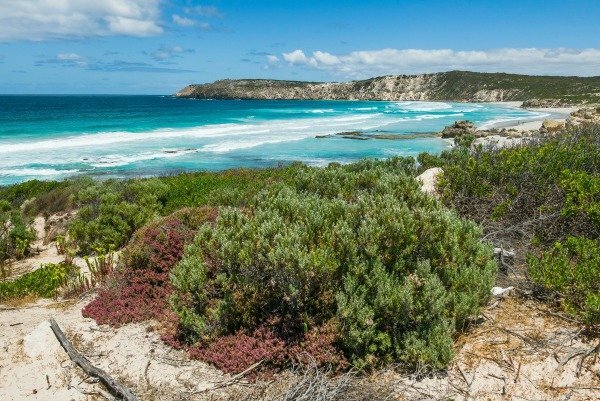 There are some wonderful and unique splurge accommodations around the region, including the gorgeous Sea Dragon Lodge on Kangaroo Island or The Louise in the Barossa Valley. Motels and self-catering holiday home rentals are the perfect accommodation for families and those wanting a good level of independence. Search for motels in your destination, or take a look at homes on HomeAway or AirBnB. For more budget-friendly accommodation, Australia has a lot of backpackers/youth hostels, mostly found in town centres, and also some great holiday parks which offer cabins and tent sites, often found in scenic and coastal hotspots. The Big4 chain is a good place to look! If you’re looking to head further afield in your travels for 2017, you could consider one of the other regions on the list - number one was Choquequirao in Peru, number two was Taranaki just across the ditch in New Zealand, and number three, the Azores in Portugal. Wherever you choose to go, a car rental will be of help when it comes to experiencing an entire region to the fullest.